For completing the subject Project Management we are engaged for almost two and half months for preparing project feasibility study report on set up a Tea industry. The fundamental focus on the study is from the primary description of the venture to the Management, Technology, Marketing, Financial and also the social responsibility activities. In preparing this report we showed here the legal procedure and the terms, condition, finance etc for the venture. There are so many help we took from the internal and external sources of the Bangladesh Tea Industry sector. Here we present a new category of tea that will make the people more refreshed and give them a proper value of money. We try to focus the real scenario of the tea industry of our country and the demand and preparing of the tea products. We also showed here the strengths and weakness of the producing tea products and tea sector of our country. We have taken so many instructions and supports from different organization and also the particular person and we are really grateful for their co operations. After having an eyed on this report one can understood about our tea production process and the associated activities. 01. To develop our practical knowledge regarding the course named “Project Management”. 02. To gain the practical knowledge of undertaking a new project and making estimation of different cost and benefits of the project. 03. To learn how to do the tasks regarding a feasibility study. 04. If we ourselves want to develop any kind of project then making this report will help us. 06. Through this report we may serve our academic purpose to complete the stated course. 07. We may undertake the project we studied through this report easily in future. 08. The learning of feasibility study will help us in future when entered into the job sector. 11. To obtain the skill of report writing. 12. We try to implement our theoretical knowledge in this report, so it helps us to become more realistic. 13. We have gained the actual as well as practical knowledge about different topics that we have studied in our stated course ledge vast. At first we selected three businesses to choose from. After market research and SWOT analysis of those businesses we have decided to make tea industry thinking of its good features and bright future. Together we selected our company name that is “JAAGO TEA INDUSTRIES LIMITED”. In the “Business Introduction” part this feature is described in details. Methodology means how a specific subjective data and other resources we managed for the information. Our course Instructor Engr. M.A Ghulam Dastagir has assigned a job of preparing report on Feasibility Study of a project. The concept & details have been taken consulting with Engr. M.A Ghulam Dastagir & from different books; journals, Internet and people have practical knowledge & relented with the project of Plastic Industry and plastic products. Standard methods of report writing have been used. To prepare this report different types of date are needed for tabulation & analyze information regarding tea Industry and tea products have been accumulated from primary & secondary sources. At first it has been tried to identify required data for study in order to select the relevant data to follow the advice of our Course Instructor. To collect the data both primary sources (given case) and secondary sources have been used. • Face to face interview of Mr. Dev Prosad, Manager Shomonbagh Tea Factory, who has practical knowledge about tea products and also the tea industry. • Face to face interview of different Officers & Senior Officers, executives, salesman, different outlets and so on. 01. Lack of practical applications in the different fields. 02. The practical implication is still unknown to us regarding our feasibility study. 03. We did not have lickings about the tea Industry and the tea products. 04. We are overloaded with the information from Internet regarding tea industry and the tea products. But maximum portion of the information is irrelevant for us and for the perspective of Bangladesh. 05. We face many problems when we deal with the financial aspect of our project as we do not have any practical knowledge about the set up of vast area of operation of industry. 06. Collection of information from different persons who has practical knowledge regarding tea industry and the tea products but sometimes they are unavailable for us to connect. The sufficient scope or sector will provide a better strategy for a project or report. The report will be a concentrating on a distinct business plan on the basis of the concept we have got from our study of Introduction to business. We also take help from other soured. It will not contain in-depth study from any other sources accept some books and website. The modern life is now used to tea and in every sphere of food habits tea is inevitable. We cannot think our life cycle without having a cup of tea in the morning. As an agriculture based country we are concerning about to create a environment friendly product, so we have chosen tea. We thought for our country as well as for the farmers whose are running our economy. From that we are concerning about to implement this project feasibility study on the tea industry. – SWOT Analysis of Tea Company. – General Description of the Venture. – Goal/ Potential of the Venture and Milestone. – Uniqueness of the Products. We are starting our business with the slogan “YOU CAN WIN”. This is not only for inspiring our spirits, but also denotes the motivation of the youth. By analyzing all the aspects of these businesses, we chose to go for the tea industry. In case of the business of Coaching Centre, there arise many problems. All the large cities of Bangladesh are fully covered with these. We can see some of them wherever we look in cities. Lack of quality of education provided and the tendency of commercialization makes this business risky and people don’t find the coaching centre trustworthy now-a-days. On the other hand the business of Chain Shop is a new concept and trends of business. But people like a third world country like Bangladesh are yet not prepared to adopt with this new system. They would rather like the traditional market and not accustomed with the chain shop concept. Hesitation and misbelieve about the goods of this shops makes this business unstable. But tea has a bright prospect in our country and thus the condition has influenced us to go for this business. Together we select our company name that is “JAAGO TEA INDUSTRIES LTD”. – Strengths of the company. – Threats of the company. A. Tea is a product that is familiar to all of us and we have thorough knowledge about tea garden. B. There are some tea gardens known to us who will help and supply us every possible and required thing. C. We are self confident and are also ready to leave no stone unturned to materialize this project. D. We have some known dealers who will help us to distribute the products all over Bangladesh. E. Tea is a product of all seasons and it has demand to all categories of people. F. Quality of the products because if the consumer could able to understand the benefits of using this products we expects that we may able to grab the market. G. Providing district based sales outlets. H. The basic characteristic of the products is its environment friendly. I. The products price will be capable for the consumer than the others tea companies products. A. We have no practical experience about this sector. B. We are entering now a high competitions market. C. Cannot produce all categories of tea products. A. We have our own transportation system to distribute products. B. Continue R & D program for producing all categories tea products. C. Grab the market showing the important feature of the products. D. To export tea and expand the business all over the world. A. A huge number of competitors are waiting for us. B. In the concern of Bangladeshi people if they are not understand about the benefits of use of our product, it may also a threat for us. C. Unable to produce all categories of products. Our goal is a tea products manufacturing business. From the concern of the rapid increasing of the tea products in our country we are set here to produce a quality and standards measures products for the consumer. We the three people stood here for producing a high quality and new concepts of tea. It’s an innovation and we hope that we will be succeeding about it. Our business is venture is a partnership firm holding with a high qualified of three people equal concept and trends. The business will be directed by us with the position of Management body and member of the board. There are appointed qualified employees for running the venture smoothly. The business will be conducted from the factory office as well as the site office. The factory is Sreemangal near from the Moulavibazar city. The site office is situated in commercial area of Motijheel with a 50000 square feet floor. The land is purchased as a property of the venture and the office space is rented in an annual basis. The venture will be operated both the interconnection of the factory office and also the site office. The owner of the venture will be the management body of the business. But we provide the effective and qualified employees as required and also the factory worker and so on. There may be ten people will be office worker and almost thirty people will be need for factory worker. We have the capacity to expand our business line and also the workers line. Date of Establishment: 6th June, 2010. Number of Partners: Three (03). Total Capital: Total: 100 Million (taka). Registration Date: The Company is registered under Partnership date is 10th June, 2009. Types of the Firm: Partnership Firm. The industrial growth in tea sector in Bangladesh began just before the liberation of Bangladesh. Prior to that tea sector industry was on such a small that it is not wroth mentioning. A gradual growth in the tea industry was noticeable from the year 1980 to the year 1990. A large number of high quality tea industries were set up during this period and this sector started to play a significant role in the national economy. Since then the tea industries started to move faster than the other sectors. The processing technology and the equipment initially came from abroad. Today, we have a large number of small, medium and large size plastic goods manufacturing units with around 1 million workforces directly or indirectly employed in this sector. We are developing nation and are yet to achieve world-class standard in many items of tea products. We lack in modern technology, our capital resources are limited compared to many developed countries. But we are yet to attain the world standard knowledge on the tea sector and also participate in various kinds of international tea fair. The company is incorporated as a private limited company on 25th July, 2010 under the partnership obtains it registration on 10th June, 2009. The authorized capital of the firm is 100 million (Taka). The ratio of total capital is 60:40. 40% equity capital it means 40000000 taka will be provided by the owner of the firm and rest 60% capital will be provided by the term loam from the banks. With this financial position the company can settle large claims form its own sources and which contributes in generating public confidence towards the company. Tea industry is a common and highly running business I perspective of our country but it has also some risks. If the management board is dependable and the financial condition is high then it is possible for the company to recover the risks and running in a sound way that generate a huge amount of profit and contribute to the economy of our country. Registration date: 10th June, 2009. Incorporation of Business: 25th July, 2010. To be the leader among the enterprises in the Bangladesh, both in terms of turnover and profit with 5 years ending 2015 by providing quality product and services excellence for total customer satisfaction. We are committed to providing genuine value to the company’s stakeholders, including our customers, dealers, employees and communities. Our mission is to strive continuously to exceed customer’s expectations for achieving unlimited excellence by providing greater value to our customers than our competitors. Achieve the highest quality of products and services for the betterment of the society. Our aim is providing the society, significant new capabilities for successful careers to all. As a goal we have consider that the company will go a long way. The flagship our company that we established by our self. Driven with the goal statement the company gradually increased its activities over the years. During its journey the company will face a lot of difficulties but with the strong management approach we try to manage for surviving. Generating more revenue was not the only concern of our venture. The motto will be to build a dream without any doubt. To achieve the end destination we diversified our venture activities and these diversified activities allowed the company to come close to the people and involved in many development activities. Construction Contractors for the Roads & Highways, Bridges & Culverts, High-rise Buildings, Factory Buildings, Flood Embankment, Hydraulic Structures, Operation Maintenance & Toll collection, establishment of educational institutions, religious infrastructure and micro credit operation. Most of these activities directly contributed in building the nation and some of these indirectly helped the country by developing the education level, poverty elevation, capacity building and infrastructure development. Development of roads and highways, bridges & culverts, flood embankment helped the country in building the infrastructure and communication system while high rise buildings and factories helped people of this country in generating employment. Those in the end contributed a lot in developing the nation. It’s not possible for us to make at a time but it’s on our aim for the building of our nation. By the growing of our company we will also contribute to our GDP. According to the World Bank report last year GDP was (US$ billions) 62. Developed infrastructure is playing a significant role in Bangladesh economy. As communication became easy people from rural places can get the modern facility of easily. With the help of modern machine and technology our GDP has increased significantly over the years. We established a new company where so many people to run our organization and these need make a huge amount of employment opportunity. We will expand our business as required as possible. We will motivate under privileged people in developing various labor oriented projects, small & medium enterprises and cottage industry which can generate more employment opportunity in the rural areas. We try to having our expanding hands in facing the national calamity. When ever the nation faced any natural disaster, flood or any other calamity we intentionally go there and involved in the relief activity. We will provide Relief among the flood affected people. We have not kept us far away from participation in national emergency as it has participated in rescue operation. We will help the natural calamities affected people and arrange rehabilitation program for them. 01. The basic thing is that the produced tea makes people energetic. 02. It refreshes human brain. 03. It offers a reasonable price for quality products. 04. We shall produce new style and modern tea concept in our country. – Share Holding of the Owner. – Legal form of Business. We, the promoters of JAAGO TEA INDUSTRIES LIMITED, are the new generations with a new and acceptable concept. Though we had not a vast knowledge about constructing a business but since we made the plan of presenting new type tea product and we are truly interested to do such kind of business from that time we started tour fieldwork to implement our dream project. Since then we are trying to involve with different related projects of the country. We started our business in 2010. Actually we, the promoters, constructed our plan in 2009 and our operation begins in 2010. From the very beginning we involved ourselves into the operation in the limited units. Though we are new to the large scale of this business but some of us are experienced in small scale. It was a dream to produce the customer friendly tea for the society of the promoters. It’s almost needed ten (10) crore taka to establish our dream. There is 40% of the total capital provided by the promoters as equity and rest of the capital will covered as debt taking loan from the banks. Partners of the firm have the right to originate the policies & maintain the current operations. The whole management of the project is maintained by the partners of the firm. As an owner of the firm every partner will perform their own duties and their liabilities according to the partnership deed. The managers look after the business affairs and provide other logistic support to the firm. The supervisors and operational employees assist them. Figure: Shareholder and their Share Percentage. Figure: A table of the Qualification of the Promoters. 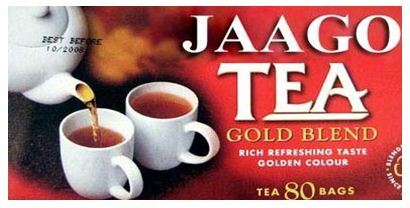 Today 10th December, 2009 An Article of Partnership is created and signed by the particular partners with a view to establish a partnership firm named JAAGO TEA INDUSTRIES LIMITED. All concerned parties of the article are mature enough, capable to perform their responsibilities and maintain the restrictions of the article. All of them are Bangladeshi by born. Type of business The firm is involved with processing as well as distribution of tea products. Area of operation The firm will operate its activities within the boundary of Bangladesh. It can establish its branch office anywhere in the country. Capital At the starting point the firm will have a capital of Tk. 10 crore. In case of necessity additional capital can be collected from the partners. Drawing There has no chance of drawing (without salary) by the partners with in three years even in loss or profit. After that they illegible to draw their profit percentage. Distribution ofProfit According to the ratio of capital the profit will be distributed or loss will be covered equally among all partners. Figure: Articles of the Jaago Tea Industries Limited. The Chairman of the firm is responsible for controlling the overall business, at the same time must consider the opinion of other owners (working as Managers in different division) in case of policymaking and management of the organization. Mahmud Iqbal, one of the owner and promoter of the project, will be the Chairman of our business firm. He will also act as the Manager of finance and will be responsible for making all the financial decisions & arrange various sources of financing both short term & long term. Director of Operation will be responsible for controlling the overall production and supply chain management. Under his supervision we expect that, our firm will soon achieved high level of production output with an efficient system ensuring an effective supply chain relationship. Another owner as well as promoter Dipon Kumar will be our Director (Operation). Chinmoy Saha will be our Director (Planning and Organization). From him qualification and the experience he can be able make new policy and plan that will be better for the organization. The company will be benefited from him both in the implementation and operational stages. To know the firms accuracy and effectiveness every firms should have auditors and audit plan. Our firm believes in accuracy and transparency. So we will maintain a well-designed auditing system. Under this system auditing activities are dividing into two parts, i.e. Internal and External. External Auditing activity will be conducted once a year by a renowned audit firm. Human Resources Management is the base of a firm because how will the firm run and what type of employees are need there are selected by the department of Human Resources Management. The firm Excellency and the efficiency is depends on the correct recruitment and selection of the employees and managed them. Our firm believes on employee motivation and try to ensure an atmosphere i.e., the working area and as well as in the organization where employee and owner can work together. Moreover we try to employee skilled and trained staff and labor to ensure maximum utilization of our capacity. 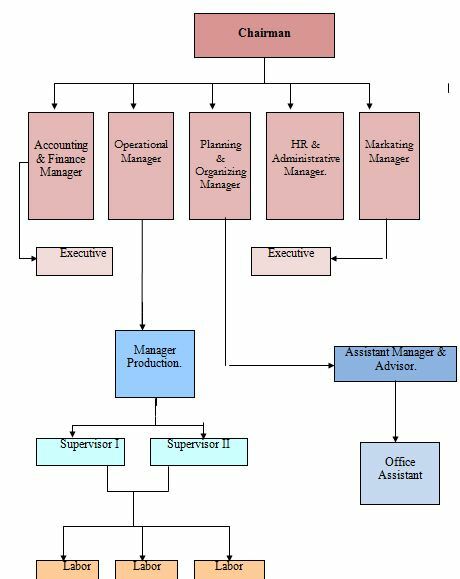 Manager of Human Resource handles our Human Resource department and he tried to accumulate the information from down level of the organization to the top level. And conducted required step to develop a safe and sound workplace along will satisfied worker. Figure: Salary structure of our business. Figure: Salary structure of Labor. – Role of the staff and it assign by the respective authority. – Name of the staff and position description. – Assign the time table of the staff for example the employee’s full Time Equivalent and the Actual Full Time Equivalent. – Rate of the worker per day and year and the per person salary assign. – Assign the staff from the specific scope and utilize them etc. – The labor rate and unit of the labor rate for the resource and the source of labor. – Role of the staff and the resource of the staff and utilize them. – Arranging different training methods for increasing the efficiency of the employees. – Performance evaluation of the training and take necessary measures. – The anticipated cost of the training program and assessment of the total duration of the training. – Using different methods for the betterment of the organization etc. By this machine, the dirt and wastage of processes raw tea are removed. It is the basic step of making superior quality tea. The first three categories are of high quality. The second three are of medium quality and the rest two are of low quality. This machine is used for the final selection to differentiate between the teas and their packets. – Current Scenario in Bangladesh. Globalization of manufacturing and strong demand both for raw materials and processed parts continue to sustain the vigor of the tea industry in Bangladesh. The introduction of tea industry is begun in our country a long ago. But that time this sector was not so growth full. It was just an ignored sector of industry. The tea industry reintroduced after 1980 with a good as well as bad news and scenario. The good news is that demand for plastics continues strong. The bad news is that supply of some popular companies is limited, global competition continues to present challenges for domestic tea processors, and profit margins are still being squeezed. When the country’s major export earning sectors are showing downward trend owing to the impact of the current global financial crisis, tea sector shows a significant export potential. Today tea industry sector is one the most advanced industrial sector in our country. Our government also keep an eye on this sector that’s why it is possible to be reintroduced this sector. In our country there are many companies who produce tea products and also export these products in the international market. From the concern about most advancement we are eagerly introduce our project on the tea sector of our country. The demand of tea products is increasing day by day. With the increasing of demand the company also brought different types of products in the market to attract the consumer. The consumer also suggest the recognized company what types of plastic products they want. There are several tea industries operating the tea market. They produce a huge category of tea products and every company makes a vast amount profit. Good news is that some tea company recently exports tea products in abroad. The basic reason of upgrading of tea industry is easy getting of cheap labor, government help and the rapid increasing of tea products demand. At a new concern of products industry we are analyze the current market situation. We analyze the others companies product criteria, outlook, marketing channel etc. we attract the customer by understanding them the benefits of our tea products. Given that competitor analysis is an essential component of corporate strategy, it is argued that most firms do not conduct this type of analysis systematically enough. 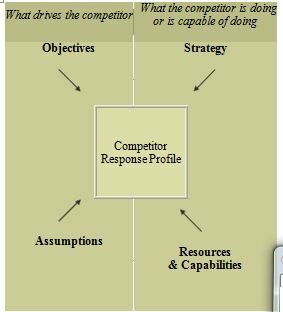 Instead, many enterprises operate on what is called “informal impressions, conjectures, and intuition gained through the tidbits of information about competitors every manager continually receives.” As a result, traditional environmental scanning places man firms at risk of dangerous competitive blind spots due to a lack of robust competitor analysis. Competitor 2: Ispahani Mirzapore Tea. Competitor 3: Lipton Tazza Tea. In a scale of bellow 2 out of 5 = the market condition of the company is bad. In a scale of up 2 but bellow 4 = the market condition of the company is moderate. In a scale of 4 & above 4 = the market condition of the company is good. In marketing, a product is anything that can be offered to a market that might satisfy a want or need. In retailing, products are called merchandise. In manufacturing, products are purchased as raw materials and sold as finished goods. Commodities are usually raw materials such as metals and agricultural products, but a commodity can also be anything widely available in the open market. In project management, products are the formal definition of the project deliverables that make up or contribute to delivering the objectives of the project. Quality and the standard of the product. Features of the products etc. In the above given channel we will use the channel number 4. Because by using this channel we will be able to reach to ends level of consumer and also the every corner of the country. This channel makes us to maintain with the customer. In terms of industrial marketing channel we will choose channel number 3. Because by using this channel we will able to make strong industrial market channel over the market that will help us to maintain the market. Allowance is promotional money paid by manufacturers to retailers. It is a pricing approach that considers the psychology of prices & not simply the economies. Companies that make the product internationally must decide what prices to charges in different countries in which they operate. In some cases, a company can set a uniform worldwide price. There are different pricing formula is present here. But we should easy and most attractive one. Because the term of success and grab the consumer society is depends on the fair and moderate pricing policies. After analysis the market condition we decide that we will use the discount allowance pricing policies. Because it the time making discounting basis pricing. Every company chooses it now so we will also choose it. We will change our pricing policies according to the market and consumer behavior basis. Store Location means the outlets and shops where the products are sold. Store Location must be a well organized system where everything can be availed easily. At first we shall locate the stores in upazilla wise so that the consumer can easily avail those products. Then we will take initiative to supply our product in various Supermarkets. If we ensure a good store location, we will easily attract & satisfy the consumer needs. It includes many of the same tools include in the Consumer & Trade promotion. So our different promotion tools are presented above and we will use this promotion tools for our products. Market segmentation means dividing the market into smaller groups with distinct needs, characteristics or behavior who might require separate products or marketing mixes. A market consists of buyers and buyers differ in one or more way. They may differ in their wants, resources, location, buying attitude and buying practices. Through the market segmentation organization divide the market into different segment so that they can reach to the consumer more effectively and more efficiently. There is different market segmentation in a market. They are Consumer market segmentation, Business market segmentation and International market segmentation etc. As a new product concept we are primarily divide market only consumer and business market segmentation. In future by the expansion of the market area we also expand our market segmentation. – We produce our products according to the age based and gender based also. – Our products are according to the family size. – The products price will be fixed up according to the income level of our country’s people. – Our products are according to the generations based. – We are not interesting to divide our consumer society according to the religion and race etc. – Our products will be according to the consumer knowledge. – We try to serve the products according to the consumer attitude. – The research and the development of the products will be dependent on the consumer. – The quality and standard of the products will be depends on the response on the basis of consumers etc. Segmenting business market refers to the same as the segment of the consumer market because the business and the products sell to the consumer are same concept. Doing business with our products we are eagerly take some strategy that help our most to reach to the consumer. Business market also categorized according to the business status, attitude, usage rate, and loyalty status etc. business marketing segment sometimes depends on the factorial approaches, situational factor, customer operating characteristics, and the personal characteristics etc. So the business segmenting we totally depends on after the segmenting the consumer market segmenting that describe to capture the whole market and dividing the whole market into small categories and delivery the value position to the consumer and get a return more than the serve. We also run our business segmentation according to the segment of consumer market segmentations. Conscious consumers are the customer that they are really conscious about a product. They are educated, well knowledge, quality and standard conscious. Subconscious consumers are not so care about the product feature, quality, standard and category. They just use the products. They are quite familiar with the products. Unconscious consumer are the totally ignore about the products. They just buy the product because they need the products. They are totally unconscious about the products standard, quality, feature and durability etc. So this is the Bangladesh business market consumer condition. So we should reach to the customer on the basis and analysis of the consumer status, standard, category and need, want, demand and desires etc. – Important: To give the precise to the highly valued benefited targeted customer. – Distinctive: To look at the difference of the competitors and our company can offer something in more effective way. – Superior: We will show our superiority to our customer that they might some benefits. – Preemptive: The competitors cannot easily copy the difference. – Affordable: Buyer can pay for the difference products and price category system. – Profitable: The Company can introduce some profitability to get some advantages. Corporate social responsibility (CSR), also known as corporate responsibility, corporate citizenship, responsible business, sustainable responsible business (SRB), or corporate social performance, is a form of corporate self-regulation integrated into a business model. Ideally, CSR policy would function as a built-in, self-regulating mechanism whereby business would monitor and ensure its adherence to law, ethical standards, and international norms. Business would embrace responsibility for the impact of their activities on the environment, consumers, employees, communities, stakeholders and all other members of the public sphere. Furthermore, business would proactively promote the public interest by encouraging community growth and development, and voluntarily eliminating practices that harm the public sphere, regardless of legality. Essentially, CSR is the deliberate inclusion of public interest into corporate decision-making, and the honoring of a triple bottom line: People, Planet and Profit. The practice of CSR is subject to much debate and criticism. Proponents argue that there is a strong business case for CSR, in that corporations benefit in multiple ways by operating with a perspective broader and longer than their own immediate, short-term profits. Critics argue that CSR distracts from the fundamental economic role of businesses; others argue that it is nothing more than superficial window-dressing; others yet argue that it is an attempt to pre-empt the role of governments as a watchdog over powerful multinational corporations. Corporate Social Responsibility has been redefined throughout the years. However, it essentially is titled to aid to an organization’s mission as well as a guide to what the company stands for and will uphold to its consumers. – To recruit and select human resource and provide them fair salary and others facilities. – Providing foods and education facilities to the poor. – Stand behind the natural hazards affected people in the time of natural calamities. – Make donation to some organization like School, College, Orphanage, Madrasa and Charity hospitals etc. – Contribute to the social cultural programs and activities and also the development activities. – Offer job to the qualified but poor people. – Providing sufficient facilities to our job holder ensure their safety and security etc. – Cost of the Project. Figure-5.2.1: Capital Structure of Green Bangla Plastic Industry. Our project planning is targeted for three (03) years. But we are considering 1st year as the base year. Note: Including Tax, vat, and import duty. ** Therefore we need tk. 10 crore for implementing the project. We have 4 crore of our own and we are taking tk. 6 crore loan from the bank. 01. There may be some financial problem in future. It we can say loss or any other incident. 02. Problem to grab the market. 03. Decrease the ratio sale of the products. 04. Fire, dead or accident of any worker or loose of any machines capacity. 05. Poor performance of the marketing. 06. Sales revenue is low than the production etc. Liquid tea in poly bag is unique business in Bangladesh. But it is very probable business. We provide our service in a reasonable price within short time. A person can easily get our service with law cost. We collect the raw material from our local market because here produce lot of sugar, tea leaves, and milk. So to utilize this raw material we can produce liquid tea within very low cost. We produce different types of liquid tea in different size for different people. The location of the company is Konabari, Gajipur-Dhaka (Factory & Office). The source of our capital is own fund and bank loan. We established our organization with the help of National tea, Milk vita, North Bengal sugar Mill. Our objectives for making liquid tea in poly bags not only mega city but also at rural area where people are so busy with their work. Our main objectives is time saving other wise some people are not interested or do not know how to make a tasty liquid tea. So we are very conscious about them and try to distribute them a testy liquid tea with short time and Reasonable price. we make those kinds of tea can easily used by children, Diabetics patients, the people who have caught cold etc. we also collect response about liquid tea in poly bag.. We also make it so that a person can get it when he wants with out any hazard. It is easily carry on one place to another place. So a person can get easily this service where is no possible to make a cup of tea. It also reduces or protects the problem of heart means heart attack. It also helps to solve the problem of unemployment. ­­ The Company produces liquid tea according to the demand of consumer. The people in the tea market like to take tea in different taste and flavor according to consumer behavior. That is why “Liquid Tea” company produces liquid tea with different taste and flavor. And for the advantage of the consumers the company build up different quantity of package. The company will package these products in ½ litter, 1 litter, 1 ½ litters and 2 litters. Most of the capital is collect by our own fund and rest of the money is collect from Bank. So we can not establish a large organization in this small investment. Most of the capital is used to organize the company and producing goods and other is marketing. Every kind and status people love to take tea. Taking tea help people make mentally and physically fresh. So our target market is lower level to upper level people. The price is set so that all kind of people can enjoy the liquid tea. We take some step to rises our product sells. For this at the beginning we offered to retailers more profit than the powder tea company offers so that the retaliates inspire to accept liquid tea then powder tea. We also give them a heavy gift like color car, motorcycle, T.V. or V.C.D. player may be given yearly to the retailers who sell the highest quantity of product per month. We also offered to the consumer like discount, lottery, coupon etc. We face some advantage and disadvantage to start a new business like the company is going to produce and market totally a new product in the market so it contains lack of knowledge about market demand. But the company is going to produce and market new product in the market so it does not have any competitor in the market and it also have a big opportunity to become market leader in future. In our country, it is very difficult to establish a new organization because the investor are face many problem like corruption, terrorism but the rules and regulation of the government is very helpful to establish a new business. In this stage we establish a new business } liquid tea in poly bag~. In the business we face some problem like temperature, supply of raw material, interest of the people, and the capacity of purchase, transportation. But we become success with the help of the people and our hard work. Main Raw materials of our product is milk, sugar, leakier. We collect milk from Milk vita and local market. We collect sugar from north Bengal sugar mill. Leakier is collect from National tea co. ltd. and local market. For this we contract with this company to supply the Raw materials.  Water + milk + sugar (deep) + leakier.  Water + milk + sugar (light) +leakier.  Water + milk + sugar (diabetics) +leakier.  Water + milk + sugar +leakier (deep).  Water + milk + sugar +leakier (light).  Water + ginger + sugar +leakier.  Water + lemon+ sugar +leakier.  Water + lemon+ sugar +leakier (deep).  Water + lemon +leakier.  Water + lemon+ sugar +leakier + ginger. 1) Liquid tea with strong milk, sugar and leakier. 2) Liquid tea with weak milk, sugar and leakier. 3) Liquid tea without milk but with strong sugar, leakier. 4) Liquid tea without milk but weak sugar and leakier. 5) Liquid tea with lemon flavor and strong sugar. 6) Liquid tea with lemon flavor and weak sugar. We also take a special look at the diva tic patients. Above all those products will be made for the diva tic patients who contain without any sugar. The company will package these products in ½ litter, 1 litter, 1 ½ litters and 2 litters. – Environmental Impact of the Project. – Contribution Towards to the Economy. During the last hundred years, business thinking and action has changed dramatically. Business practices of a century ago would not be accepted even by a backward firm today. It is academic whether business initiated these changes or whether society pushed business into them. In actuality, progress was mutual; each initiated changes on the other, assisted by other institutions in the total social system. Business could not have come as far as it has without the help of society, nor could society have developed to its present state without corresponding business progress. Now the business gradually turned into the society most beyond its own gates into the general community, power of economic growth, social stability, community improvements, education and a host of the public needs. Social responsibility is concerned with the public interests. An explained earlier, social responsibility is the obligation of decision makers to take actions which protects and improve the welfare of society as a whole along with their own interests. It’s built a better quality of life and also improves the society. Figure: A philosophy of Social Responsibility will provide by our business. I. Protecting the consumer as possible. II. Paying fair wages to the employees. III. Maintaining fair hiring practices and safe working condition. IV. Supporting education and health. V. Careful about the environmental issues like fresh air and clean water. VI. Take parts some social welfare and development activities. VII. Making easy communication system. Our firm’s motto will be the quality comes first, profit is a logical sequence. Maintain strictly the laws and regulations of business ethics. Ensure the standards of products safety and quality. Fair product pricing and the fair employment pricing. Fair marketing and selling pricing. Community involvement and the use of confidential information. Committed to prevent any type of illegal affairs and the unethical work for the society. Our trends will be make positive correlation with the customer and community with ethics and long run profitability. Never break the community rules and regulations. Never make any impact on the society that goes opposite of the community people and they make a negative impact on our business. Environmental impact is an important factor for a project task. Before going to the final production we will consider the environmental factor. In a tea industry there are more or less categories of waste, trash, dust and disposable items are created which may be cause of harm to the society and the environment. We are conscious about this type of factor of wastage. In this case we shall take proper steps to burn this trash, dust and waste in safe and effective way. So that we able to create a free and fresh environment in the factory area and also the environment impact. We have also some strategy about to keep environment green and clean. The tree plantation campaign and the mass general conscious will developed for the betterment of the environment. In the factory site there also a shade of tree to keep the factory neat and green. We create employment sector and thus we are able to reduce the unemployment problem from the society. The development of the entrepreneurships in the country. Create concept about the cost consciousness in the mass people of the society. Contribution in the GDP of our country. Way to develop the technology. Make some plan to develop the economy and society standards. Create concept of “use homemade products only” to save our currency in our country. Create more and more job line and ensure the satisfactory level of the consumer trust on our products. Create new industry line to provide more and more employment opportunity. Making some society development program like education, health and food and provide support in the time of any natural calamities. Ensure the consumer rights and the benefits of the use of our products etc. The rapid growth of tea industry has opened a new door of the bright economy of our country. Now a days many of our tea industry exporting tea product in abroad and earn foreign currency as well brought the development of the country’s economy. From the concern about this we are inherently to do this project with a new concept of the tea industry and tea products. Tea products are very important to secure long-term access to raw materials before starting operation. Contracts with suppliers should be draw up. The objective should be to utilize all of the tea products produced. Local & regional markets for tea products should be carefully investigated before starting operation. Upgrading tea producing industry is quality relatively large investments. On the other hand, the demand for upgraded tea products is continually increasing, so that such investment can be profitable in the long-term. A strong commitment and broad political support from local authorities, for example by encouraging the purchase of tea furniture, promotes the wider development of tea industry. Close collaboration between various partner organizations and individuals is required to ensure that the entire system functions properly, from the supply of substrate to the distribution of tea products. There is a great deal of international interest in tea industry. Strong support to develop the domestic market would help Bangladesh tea companies expand and become successful on the international market.